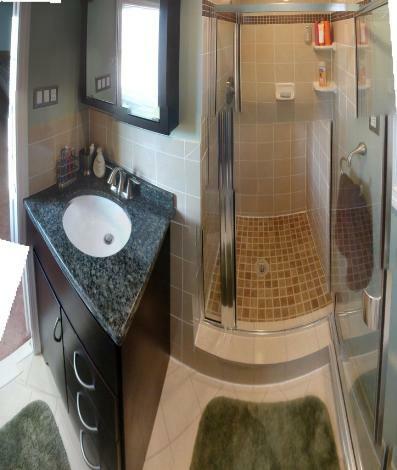 Here’s another picture of the finished bathroom. Its another montage of images taken with my tiny little camera. It didn’t stitch together as well as the other one, but it still shows the room pretty well.